I was recently afforded the opportunity to serve as Chair for the International Downtown Association’s Top Issues Council Report focusing on the topic of “Place Branding”. Working with great Council colleagues from across the country, we analyzed the importance of Place Branding and what it means to the success of your Downtown. Of course, this begs the question: What is Place Branding? While the concept doesn’t lend itself to an official definition because it is often unique to a specific place, it is also not just a generic term without meaning. Indeed, more than merely a marketing campaign, Place Branding embraces those features that make your downtown or other urban district unique. The quirky spaces and interesting places that define your city’s urban experience. While slogans, logos, and taglines are often part of the Place Branding process, they are just small pieces to the overall puzzle which tells the story of your city. Place Branding is driven by authenticity. Discovering what makes your "place" unique and then sharing that uniqueness with guests in novel and interesting ways is critical to success. Place Branding expands well beyond marketing campaigns or slogans because its goal is to help the audience experience a Place rather than just be told about it. Place Branding also does seek to compare your place to others--just the opposite, it seeks to celebrate how your place is uniquely different. For instance, Huntsville is the birthplace of the American space program. NASA maintains one of its leading research centers here. Space exploration is literally in our DNA. As a result, our Place Brand is inherently tied into exciting themes like exploration, discovery, and invention. We use these pieces of our puzzle to tell the Downtown Huntsville story in a unique way. Yes, sometimes it does involve marketing campaigns centered on rockets and space travel. However, those are just symbols of our Place Brand: we have a downtown-spirit that embraces quirky, unique, and novel experiences. This is the story that defines who we are and what we do. The DHI logo was carefully planned to tell this story. 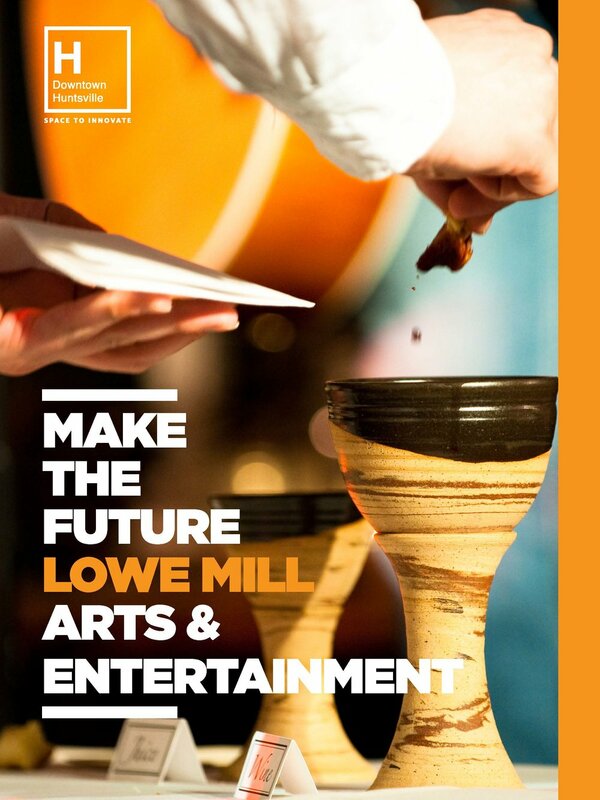 Working with the super creative minds at Matter Design Co., we quickly realized that, as a brand-new organization (this was in the fall of 2013 just as DHI was getting started), we had a great opportunity to build our brand from scratch. Through many iterations, the logo evolved into a symbol that represents the beautiful outdoors surrounding Downtown Huntsville (the DHI green), a square outline representing our Historic Square, surrounded by an H for Huntsville that was situated inside the square to represent the Hydrogen symbol from the periodic table (to emphasize our community’s scientific spirit). The H for Hydrogen also nods to hydrogen serving as one of the building blocks of the periodic table—just like Downtown serves as one of the building blocks for the City. Lastly, the slogan often used below the logo (“Space to Innovate”) plays off the outer space heritage of our City as well as the innovative physical spaces in Downtown (both natural and built). 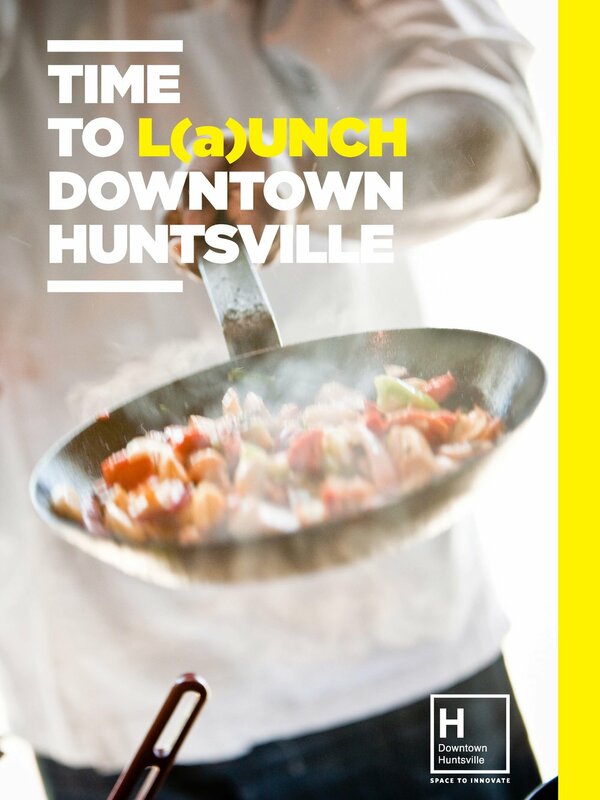 In other words, rather than just develop a catchy slogan or eye-appealing logo, we sought to build our brand using the authentic elements that make Downtown Huntsville unique. Later this month, I’ll serve on a panel at the International Downtown Association’s annual gathering where all four of us panelists ( Jenny Starkey, Josh Yeager, David Suls, and myself ) will share our Place Branding experiences and discuss how developing an authentic brand is a key piece toward the economic success of your city center. If you happen to be in Downtown San Antonio for the event, come by and see us! Click here for the 2018 IDA Conference Schedule. If not, you can get the full Top Issue Council Report on Place Branding in electronic or printed form right here.